I am a pirate bear. If you have been following this blog for any length of time, you understand that I have been an outspoken advocate of Agile and Scrum. It has become the central focus of my career. I am one of those eccentric and creative people companies want but do not know how to utilize. I am an anomaly in the business world, and I am comfortable with it. Like any other technology professional, I spend my free time learning new skills. In preparation for the Scrum Coaches Retreat in London, I spent some time learning how to use #slack. To be honest, I am still struggling with the platform. It feels alien to me. I have not mastered all the tricks, lingo or etiquette of a #slack community. I think the same way I did eight years ago when I started using Twitter. I was able to master that, and I will be okay with the new platform. When you join a new social network one of the more important things you do is choose a name where others can quickly identify you and touch base. The same is true with #slack and since the network does not allow for duplicate names people rapidly get creative coming up with handles. I decided to give myself the moniker “The Pirate Bear.” I posted a color picture of myself in a fez and began my journey in #slack. I was swapping information, slide decks, and gossip with other agile coaches for a few weeks when someone from England asked why I chose “The Pirate Bear.” I did not have a chance to answer the question then but feel compelled to answer it now. Since I began my vocation as a technology professional, I have been heavy. I blame this state of being on the nature of the profession and by using food to cope with the pressures most technology professionals confront. I am both big and tall. It prompted the woman who loves me to label me her bear affectionally. Additionally, many of my LGBTQ friends and colleagues say that I would pass as a “Bear” in the gay community. I felt awkward about this at first, but I embraced it as good-natured teasing from friends. Piracy has been a significant theme in the zeitgeist since Johnny Depp wore the costume in the first Pirates of the Caribbean movie. 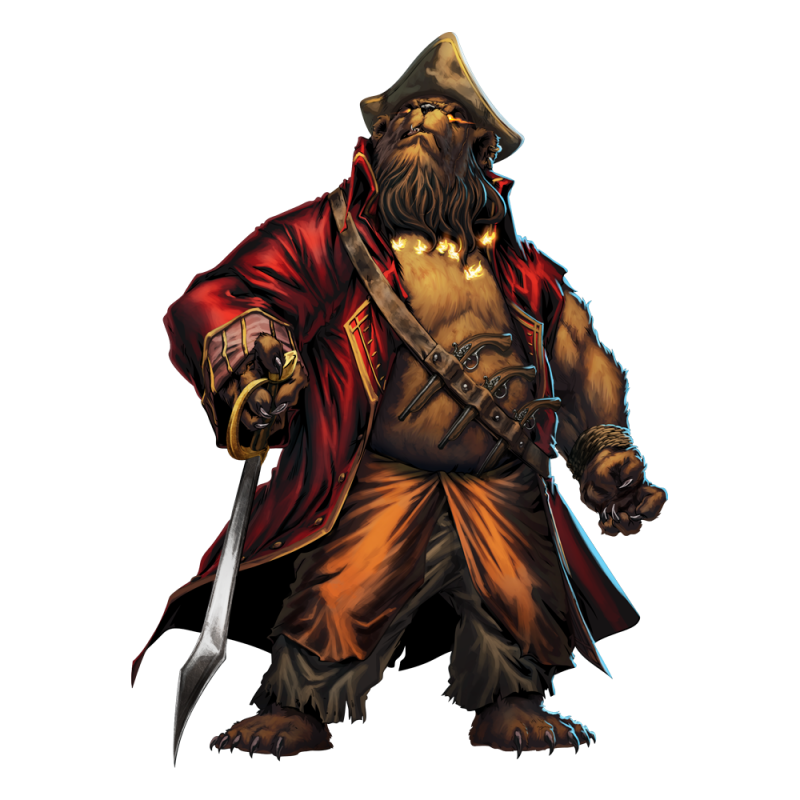 Piracy has been the banner many rebels and outcasts have embraced since the age of sail. Illegal radio stations sailed the North Sea offering programming the BBC would not provide. It became a pirate radio which has been copied by numerous radio stations around the world. When Steve Jobs put together the product team of the first Macintosh, he told each of the engineers, “It is better to be a pirate than to join the navy.” The secret pirate crew then changed personal computing forever. It sounds very glamorous. The swashbuckling and mythology of piracy is quite appealing. The reality is that a pirate’s life was dangerous and cruel with significant shifts between poverty and wealth. A pirate sailor often faced execution if captured and often succumbed to illness at sea. You chose piracy for many reasons, but the main reason is that you did not fit in anywhere else. In the sclerosis of most corporate environments, if you are going to make a change, you will have to be a pirate. You will have to be smarter, nimbler, and more unconventional. You will suffer from being an outcast. You may also fail in an embarrassing and ignoble fashion. On the off chance none of that happens, you will cut a romantic figure in front of black sails and wallow in gold and rum. Given a choice between the routine and tedium of a professional career and being a pirate; I choose to be a pirate. It is why I am the pirate bear on #slack.